Ok, folks. We're (unfortunately) not going to be talking about how crazy The Weird Sisters are or how great Celestina Warbeck's last concert was or how cool The Hobgoblins once were. We'll talk about the soundtrack of the five Harry Potter movies instead. 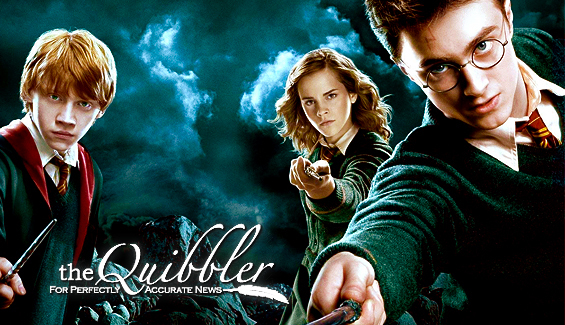 Different composers have been in charge of composing and writing the music for the Harry Potter films. The American composer and conductor, John Williams, whose career spans six decades, has been famous for composing many of successful film scores like Star Wars, Superman, E.T. the Extra-terrestrial, Jurassic Park and of course, most of the Harry Potter movies. Specifically, the first three are of his own and he made them his. The first and the third one got nominated for Best Dramatic Score for the Academy Awards, but didn't win. For the first two scores of his, Williams used the technique "leitmotif", which is used to introduced a particular character place or object. But for the third movie, the technique got changed to introduce to the audience new themes more related to the action of the film. The third scores was Williams' most highly praised score, due to the passion and creativity that was put on it and, perhaps, for be the last one of his for the series. It's also Williams' "Hedwig's Theme" that has made it in all four scores and will also be in the fifth one. Patrick Doyle took the lead for "Harry Potter and the Goblet of Fire", with new themes like "The Quidditch World Cup", "Hogwarts' March", "The Beauxbatons Theme", etc. Now, we can't miss that The Weird Sisters (not the original ones, though, but the muggle version, leaded by Jarvis Cocker) made a cameo in the film, with the hits "Do the Hippogriff", "This Is the Night" and "Magic Works". 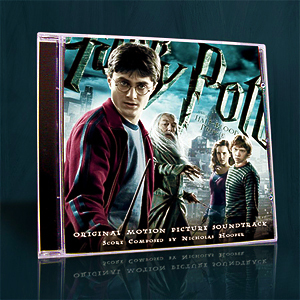 For "Harry Potter and the Order of the Phoenix", Nicholas Hooper will be the composer for the original score. The soundtrack will be released on July 10, 2007, three days before the world release of the film.